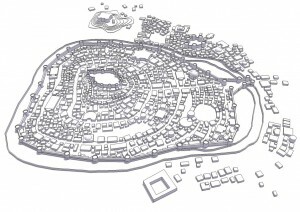 Ismam, the desert city | Rollespræll! 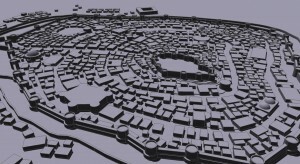 Ismam was the most important trading city in the world at one point, connecting the kingdoms and empires north and south of the great desert, Kaanan. But after the sultan was assassinated and Queen Indigo and her King Chimera Khan emerged and claimed rulership of the city, both forces from Quadib in the north and Den Gule Keisers Rike in the south waged war on Ismam in an attempt to seize control of the trade routes. After months of warfare, the Quadibians transported their monstrous and feared cannon, The Basilic, into the desert and the city was bombarded into rubble not long after. Queen Indigo and King Chimera Khan fled with their loyal troops and allies into Vantara territory, and are currently making sure that no caravans are able to cross the desert without extreme risk.